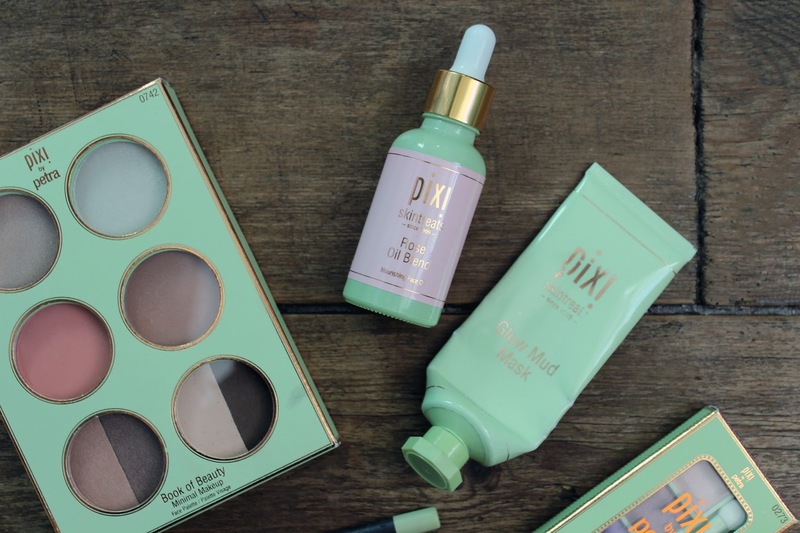 Brand Focus: Pixi by Petra. Rose Oil Blend* (£26) - Boy oh boy, is this a good'n. I always like to incorporate an oil into my routine throughout the year, but this offering is without a doubt, one of my favourites of all time. Designed to restore and rejuvenate the skin, the Rose Oil Blend adds a serious (and much needed), boost of hydration. Not only does it smell all kinds of awesome, but it has a thicker consistency than others I've tried so it's a total pleasure to apply. This also definitely gives a helping hand when it comes to reducing redness and blemishes, so I guess you could say it wins all around. Can you tell I'm a fan? Glowtion Day Dew* (£24) - For a radiance boost come morning, I reach for this. It's quite lightweight in texture, but creates the perfect canvas for makeup, giving an almost 'lit from within' finish - think the Hourglass Ambient Lighting Powders but in moisturiser form. Definitely one to try if you're in the market for a newbie. Glow Mud Mask* (£18) - I'm a big mask user and this is definitely one that I'll be repurchasing once I run out. Like a classic mud mask, it works to draw out impurities, leaving the skin brighter, clearer and glowing in just 15 minutes. Of course the Glow Tonic (£18) is another cult favourite, but I very handily forgot to photograph my bottle in this set of shots - oops. 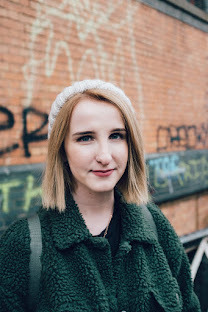 You can read my full review here, but to sum it up, the exfoliating toner is an absolute essential for anyone who may be suffering from a dry, dull or slightly blemish prone complexion. In fact, it's pretty much ideal for all skin types. 9/10 now I reach for this over my (natural) grain scrubs as I feel it gives such a great result following my evening cleanse. Endless Silky Eye Pencil (£12) - A gal can never have too many eyeliners in her life in my opinion, and these are well worth adding to your stash. The formula kind of reminds me of MAC eye pencils in that they are creamy, blendable, and once they've set, they ain't goin' nowhere. They also happen to come in a great range of colours so there will definitely be one to suit you. Book of Beauty - Minimal Makeup (£24) - If you're someone that find themselves travelling a fair amount then you will seriously dig this palette. Made up of two highlighters, two cheek shades and four eyeshadows, it's pretty much got everything you need to create a barely-there makeup look. 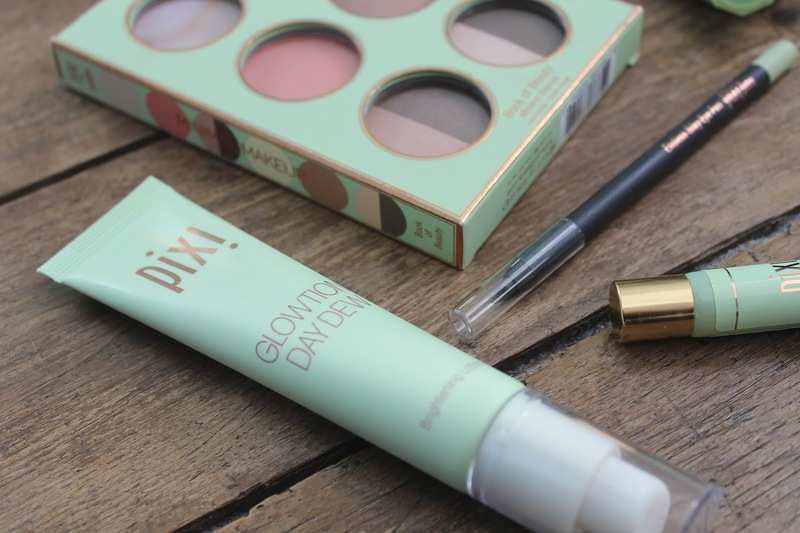 Pixi powders are really high quality (I adore the Limited Edition Natural Contour Kit*) and definitely something worth investing in. Essentially, this palette rocks. 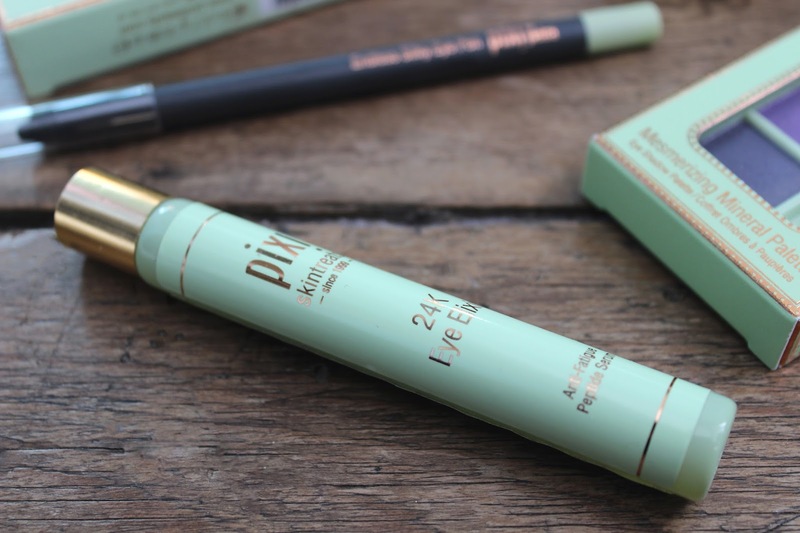 2k Eye Elixir (£22) - Now this, this is total holy grail standard. Early mornings = tired, puffy eyes, but this anti-fatigue peptide serum cools and smooths the delicate area, providing a noticeable difference before you've even finished your A.M. cup of coffee. Frankly, a quick application of the roller-ball is nice to use anytime in the day so I would highly, highly recommend giving this a whirl for yourself. Are you a fan of Pixi? What are your favourite products from the brand? Are you tempted to try out any of the above? Neal's Yard Remedies Blog Event, Leeds. The Best Mascaras On The Market. Products To Banish Dry, Winter Skin.